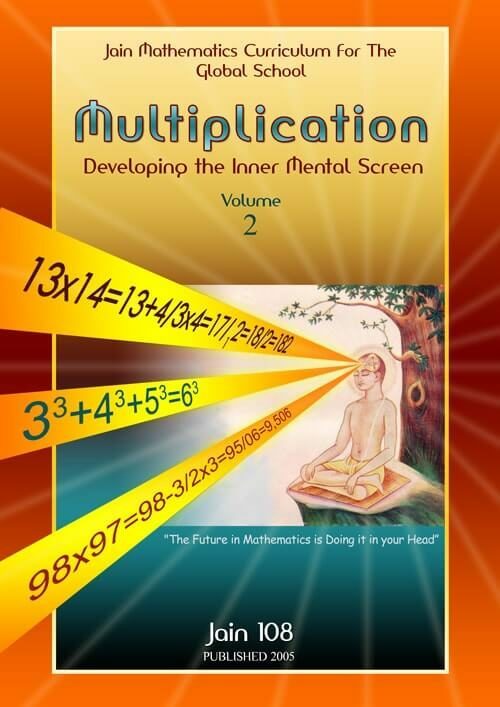 This book continues from where Book 1 finishes and consists of the Magic Squares of 8, 9 & 10. There is a whole chapter (Chapter 8) and a dedication to Benjamin Franklin’s Magic Square of 8 x 8. 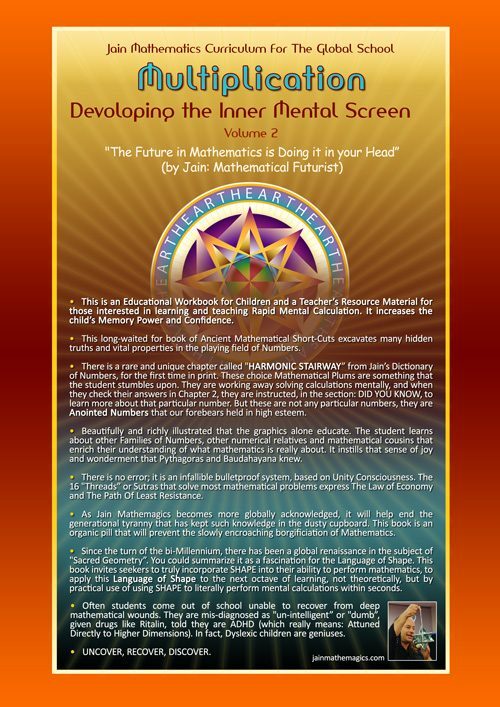 Of the 1,000 and more patterns I have constructed, I believe this to be the most harmonically and mathematically exceptional of all. 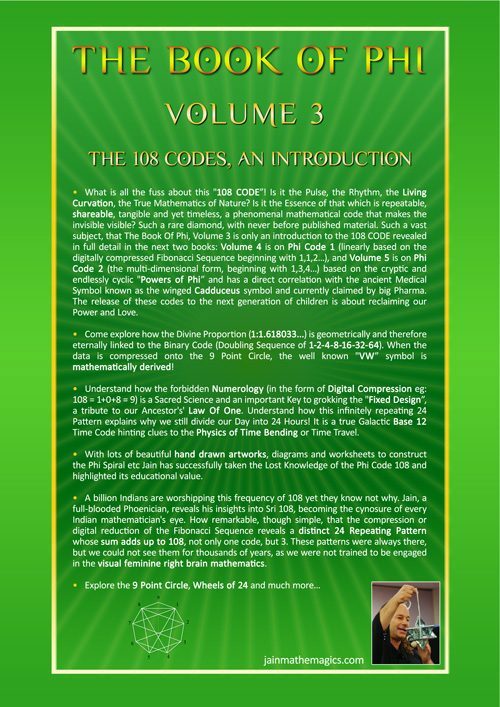 Chapter 9 includes a detailed account of the Indian Yantras or Power Diagrams symbolized by the 9 interlaced triangles of the Sri or Shri Yantra or Shri Chakra. This is a unique and original activity book, a draw-your-own mandala coloring-in pad book, just by drawing Dot-To-Dot. The definition of a Magic Square is that the sum of its columns, rows and diagonals are equal. 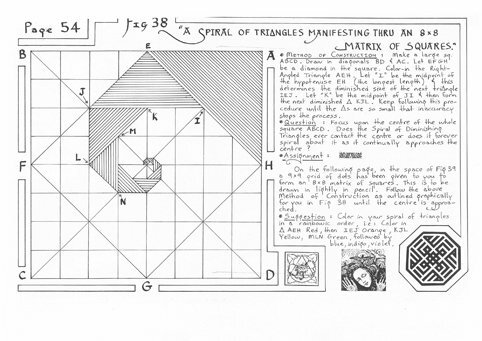 This book is about the Translation of Number into Art, the Atomic Art of Magic Squares. This book contains 161 photocopied pages, is hand-written, highly illustrated, the book is a golden rectangle but fitted or orientated to A4 landscape , and wire bound. Of the 1,000 and more patterns I have constructed, I believe this to be the most harmonically and mathematically exceptional of all. For this reason, there is a window decal based upon this Magic Square of 8 x 8 (see Decals). 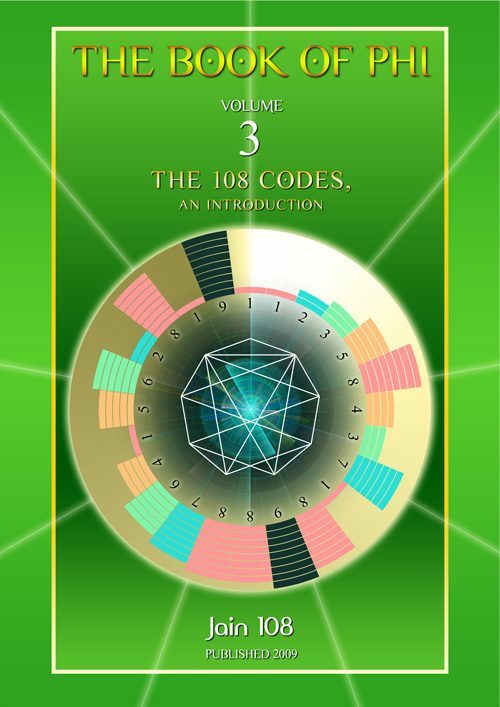 Chapter 9 includes a detailed account of the Indian Yantras or Power Diagrams symbolized by the 9 interlaced triangles of the Sri or Shri Yantra or Shri Chakra. 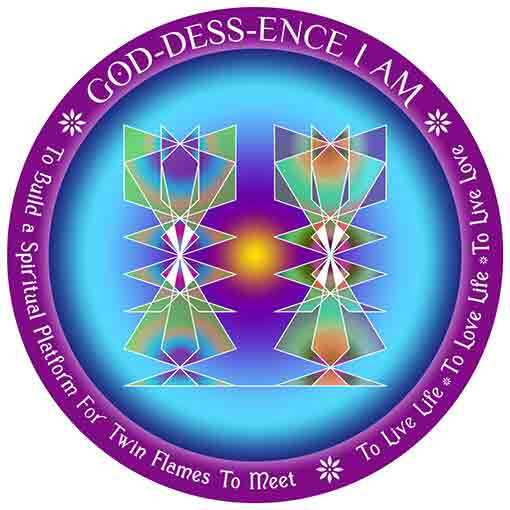 The 9 triangles represent the 9 aspects of the divine feminine, like Shakti, Durga, Kali etc. In Sacred Geometry, it is helpful to visualize the 9 triangles as 9 inter-penetrating pyramids or tetrahedrons. (This book is about the Translation of Number into Art). 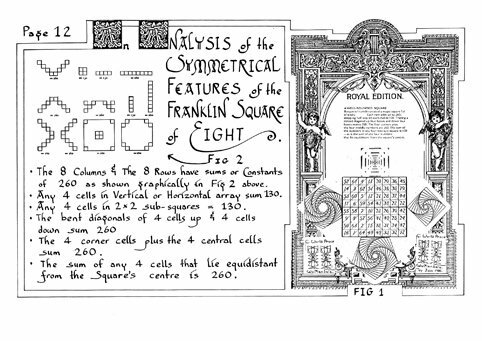 The Atomic Art of Magic Squares. This is a unique and original activity book, a draw-your-own mandala coloring-in pad book, just by drawing Dot-To-Dot. The definition of a Magic Square is that the sum of its columns, rows and diagonals are equal. The Source and Centre of the Tibetan Calendar and Cosmology is the ancient Magic Square of 3×3. 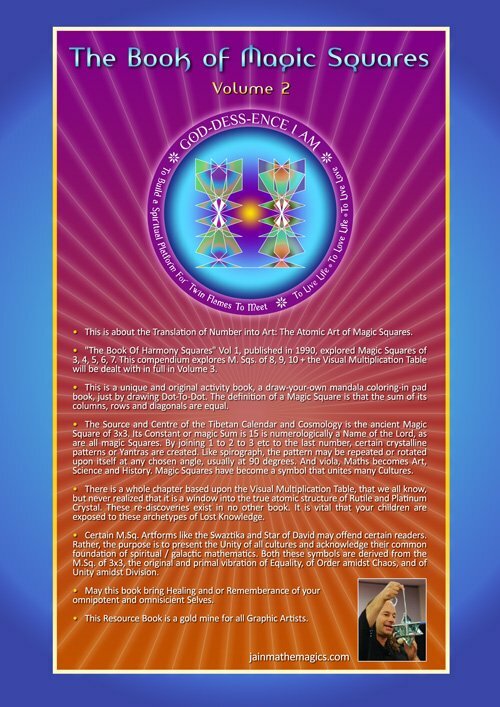 Its Constant or magic Sum is 15 is numerologically a Name of the Lord, as are all magic Squares. 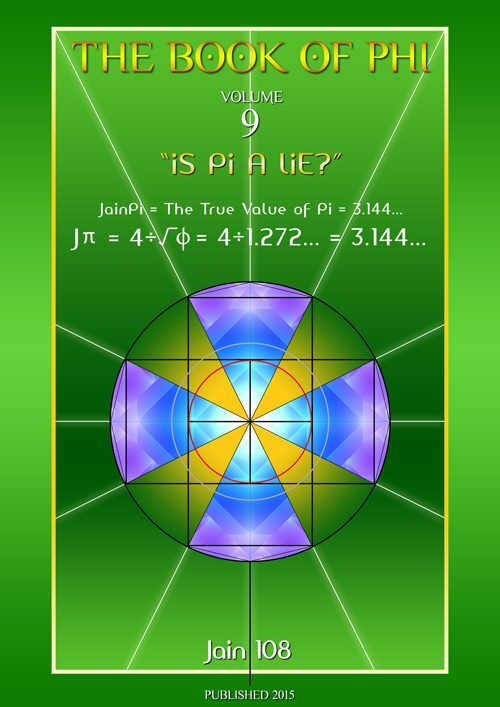 By joining 1 to 2 to 3 etc to the last number, certain crystalline patterns or Yantras are created. Like spirograph, the pattern may be repeated or rotated upon itself at any chosen angle, usually at 90 degrees. And viola, Maths becomes Art, Science, History. 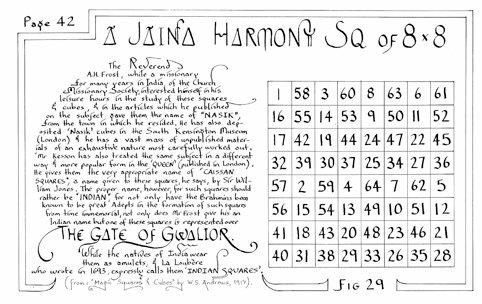 Magic Squares have become a symbol that unites many Cultures, eg: The Dead Sea Scrolls translated revealed Essene/Christian bibles steeped with magic Square Parables on the divine Kingdom (though there is some controversy about the true Source of this old scriptures). 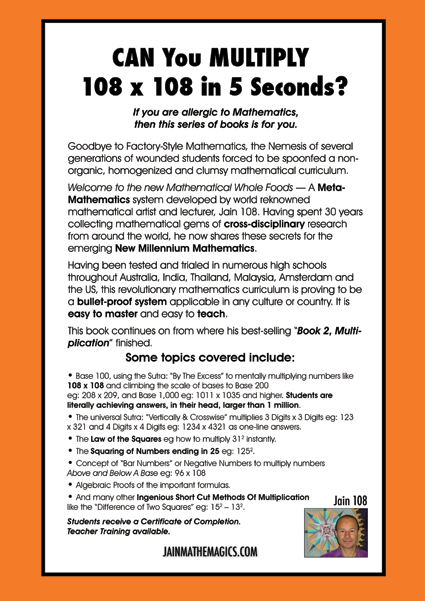 This subject crosses the K.L.A.s or Key Learning Areas essential for modern education. 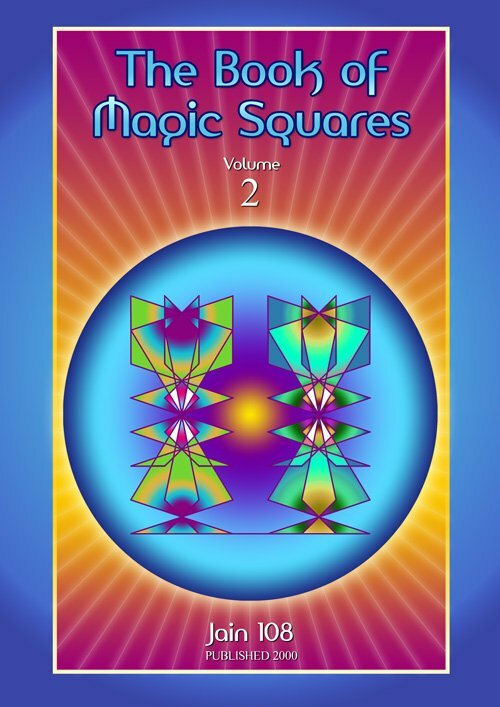 In this book, any 10 year old child or adult may create sacred symbols by tuning into these Magic Square Codes or Harmonics. 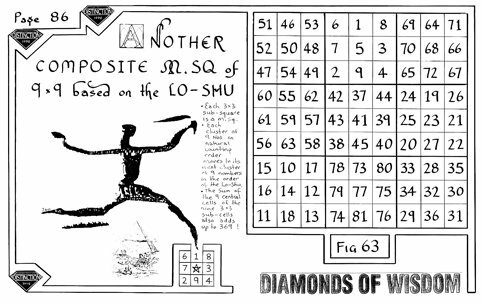 Upon the lattice of dots given, you will discover how M.Sqs. create Swaztikas, Stars of Solomon, Maltese Crosses, Christian Crosses. When viewed 3-Dimensionally, the M.Sq. of 3 Yantram producing the Seal or Star of Solomon, is really the Star Tetrahedron, which is our MerKaBah or Spiritual Light Vehicle or Time Space Capsule. It is also the atomic structure of Beryllium, Salt, Silicon, etc. There is a whole chapter based upon the Multiplication Table, that we all know, but never realized that it is a window into the true atomic structure of Rutile and Platinum Crystal. These re-discoveries exist in no other book. It is vital that your children are exposed to these archetypes of Lost Knowledge. Certain M.Sq. Artforms like the Swaztika and Star of David may offend certain readers. Rather, the purpose is to present the Unity of all cultures and acknowledge their common foundation of spiritual / galactic mathematics. Both these symbols are derived from the M.Sq. of 3×3, the original and primal vibration of Equality, of Order amidst Chaos, and of Unity amidst Division. 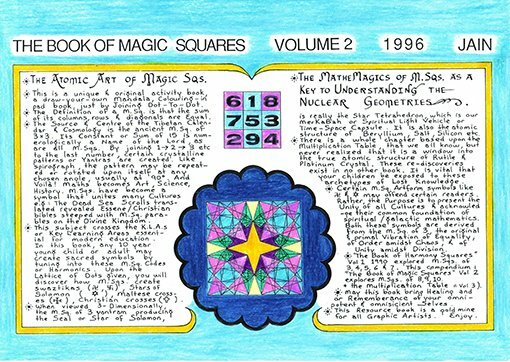 “The Book Of Magic Squares” Vol 1, published in 1990, explored Magic Squares of 3, 4, 5, 6, 7. 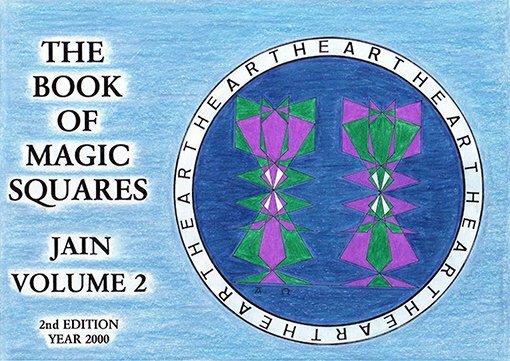 This compendium: “The Book Of Harmony Squares” Vol 2 explores M. Sqs. 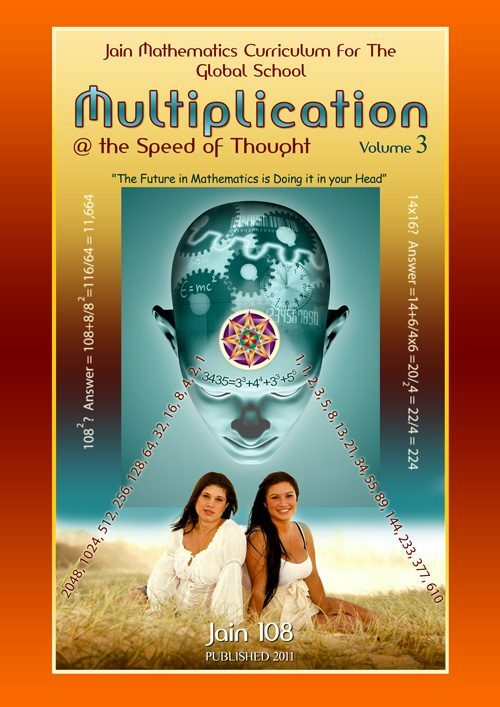 of 8, 9 & 10 + the Visual Multiplication Table will be dealt with in full in Volume 3. May this book bring Healing and or Remembrance of your omnipotent and omnisicient Selves. This Resource Book is a gold mine for all Graphic Artists. 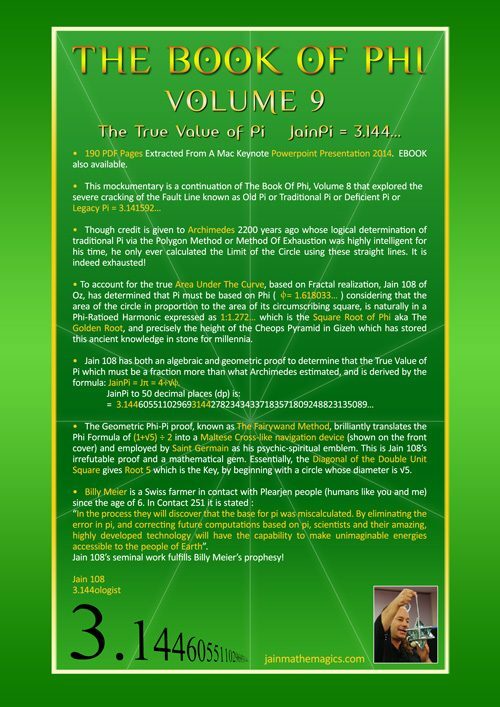 (the following chapters are now Volume 3. The Original 300 page book was the combined versions of Volumes 2 and 3). that has some superb properties regarding its summations fo 260. Also, any 2×2 sub-squares, that is, any 4 neighbouring numbers in a small 2×2 square, that you can put your fingertip on, has Magic Sums of half this total, which is 130. A Spiral of Triangles upon an 8×8 Grid. This is one of many such geometrical worksheets. 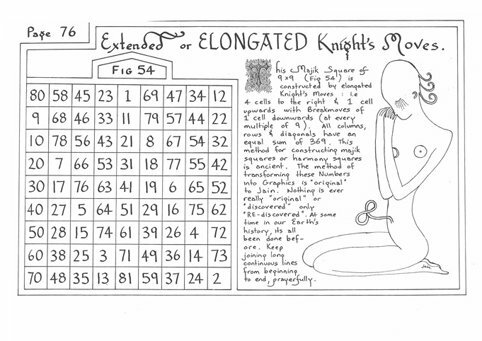 Elongated 9×9 Knight’s Moves, generates a beautiful Magic Square based on L-Shaped moves, as in chess, or 1×2 cell movements. All art and calligraphy by Jain.